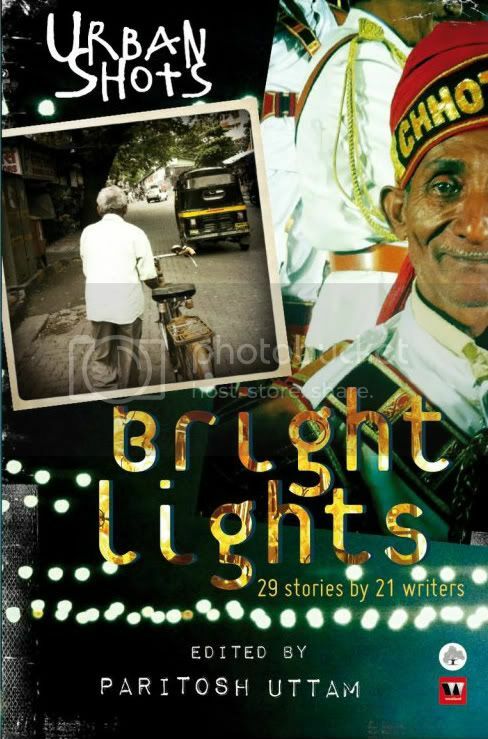 The Bright Lights Urban Shots collection is the compilation of twenty-nine short stories by twenty-one authors. In the editor’s words the idea behind Bright Lights was to illuminate the different aspects of urban life and he has been successful doing that. The assortment of stories in the book ensures that a wide Diaspora of the Urban Life is very well covered. There are stories about relationships, careers, ambition, deceit, passion and soul searching. The book is lighter as compared with the other two editions released alongside and makes for a quick fun read. Double Mixed (Namit V. Nair): A beautiful story about infidel relationships and how people are trapped in one of the most awkward circumstances. A perfectly woven tale of human relationships that will leave you smiling. Maami Menace (Pradeep D. Raj): A humorous story about an interfering old neighbour and a families’ effort to thwart her off. A story which has happened to almost all of us reminding of a neighbour whose visit we dreaded. Jo Dikhta Hai Woh Bikta Hai (Sneh Thakur): A story about the ambitions of the youth and the ordeals of the FMCG industry. A story about how people start doing what it takes, a story about the eternal debate of end before means. Mr. Periera (Ahmed Faiyaz): A warm and gooey story about two people between different generations with books as the bridge between them. This would remind you of the person who introduced you to your passion. Summary: A fun collection of stories good to go for daily reading to liven up one’s mood. @Roshan: Thanks a lot doc. Hi there! that was a nice, short review. And thankyou for the honorable mention on Cats and Sponges. Needless to say, that made my day!! @Meena: Admitting again I just loved the story and had a very apt classification of people. I am in middle of reading this! will review after reading! @Reema: Nice, let us know how did you like it.